‘Yesterday You Said Tomorrow’ came out earlier this year to much anticipation and fanfare around the world. 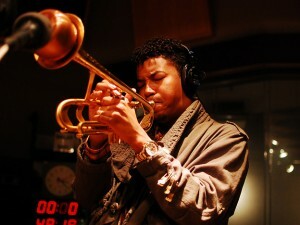 Christian Scott, the Grammy-nominated boy wonder who took the jazz community by storm with his 2006 album ‘Rewind That’, this year came out with his 4th album in five years. Scott, since the last time I wrote about him, has been hard at work creating new music and gaining priceless experience touring. 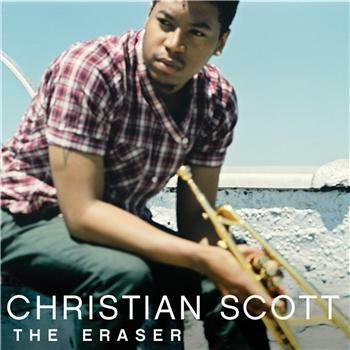 Scott’s last album, a live recording of his concert at the 2008 Newport Jazz Festival, was solid and provides a more raw experience of his work and sound. 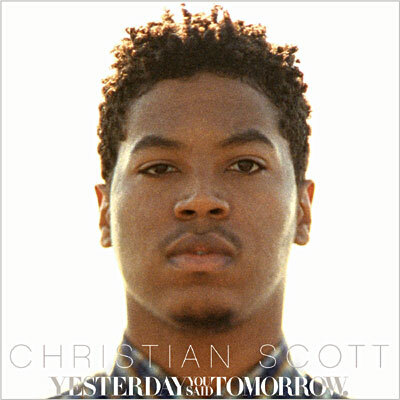 But I feel this year’s ‘Yesterday You Said Tomorrow’ is the rightful continuation of Christian Scott’s journey last visited in 2007’s Anthem. Seven of the ten tracks on this album have titles that try to elicit sharp commentaries about hotly debated issues in American politics and society. Songs like “The Roe Effect”, “American’t”, “Jencide”, and “Angola, LA & The 13th Amendment” are examples of this. While the album ‘Anthem’ was fiercely angry, crying out in anguish and pain, ‘Yesterday You Said Tomorrow’ has internalized this grief much more. You can clearly feel that the same feelings of frustration are present in this new album, but they are now coming from a much deeper place, and have shifted Scott’s music to be more muted, more reserved, more pensive. But I feel this album has even more energy than ‘Anthem’ if that is all possible. I think what I am hearing is evermore maturity coming from Christian’s horn. 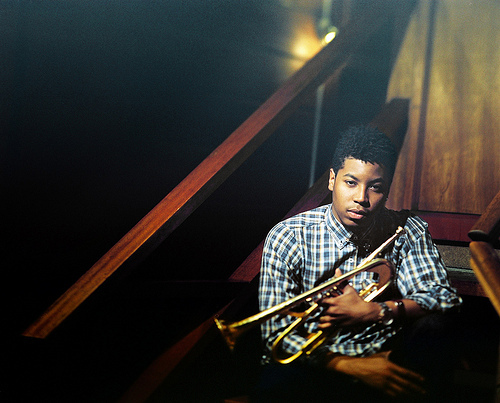 The music, as it has since Scott’s first album, signifies another step forward in the sound of contemporary Jazz. He takes every opportunity to display his “Whisper Technique”, a distinct breathy, airy, hazy effect on his sound. Scott is said to have perfected this technique over the past couple of years, and found his breakthrough when trying to mimic the sound of his horn to the sound of his mother’s voice. The “Whisper Technique” is also accentuated by Scott’s custom-designed, custom-made trumpet, nicknamed “Katrina”. To elevate this whispering sound, Scott’s music is dark, deep, and moody, the perfect atmosphere to envelope an eerie, whispering lyric. Christian Scott’s music is rich in deep, tonal hues. 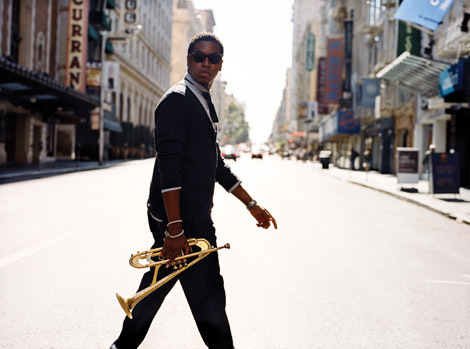 It is, admittedly, very impressionistic of Miles Davis’ earlier era, though with very contemporary arches. One of these contemporary pillars is Matt Stevens’ guitar work. Having been with Scott since the beginning, these two have matured their sound together, and have almost become two halves of a whole. Pay attention to Matt on each of the tracks he plays on. My favourite songs on this album are: American’t, Isadora, and most of all, The Eraser. There is an edginess to these songs that is so deliciously subtle. The songs move forward at a hypnotic pace, and I often find myself swaying back and forth or nodding relentlessly to the onslaught of their tight tempo. These songs make my forehead frown in concentration. I am exhilarated. Great review of a great artist. He is the TRUE future of jazz, in my opinion. I think Grammy missed the mark by snubbing this work for lesser works. Thank you.